Bed and Breakfast for tourists and professionals, cosy and comfortable, in the famous area of "Eur". 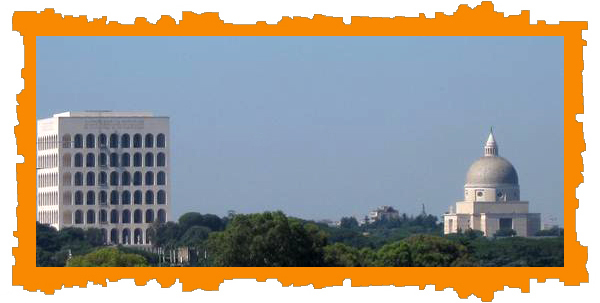 Well linked to the "Ex Sport Small Building, where concerts and events take place (today called "Palalottomatica"), to the small lake of the Eur, to the "Palace of Civilization and Work"; to the "Conference Center", to the "Pigorini" and "Roman Civilization" Museums, to the Biomedical Campus University and Regina Elena IFO Institute. It offers you the possibility to live the city of Rome deeply, and then you may enjoy relax time in the comfortable room you have booked. You can find our B&B in the residential quarter of Rome, called Eur, in an elegant bourgeois house surrounded by nature where you can spend a quiet holiday, far from the roman caos, but ideally situated for tourists or professional who come to Rome Eur, because of its good Metro connections with the LINE B Metro (MARCONI) with you can reach the city center very fast.